​Just like the poker games, dices games are also popular in casino or some other places. A dice perspective camera in the bowl or dices cup is very helpful for those people who like playing dice games. And this kind of dice cheating device can be used in any different kinds of dice games. Outwardly, the dice bowl with spy camera is the same as the ordinary dice bowl in terms of textures, color and shape. Its perspective camera is so concealable that no one will see it from the appearance. And so you can be at ease when you play dice with the magic cheating tricks. Except the perfect outward appearance, the dices bowl perspective camera can work faultlessly. This kind of dice bowl scanner camera can help you to see different materials of dices such as ceramic dices, bone dices, transparent dice, remote control dice, regular dices and so forth. It can read all dices accurately and quickly. You can get your bowl camera to see one dice, two dices or more dices. No matter how many dices you guys throwing in the bowl, you can see the point clearly before the bowl being opened. And after reading the dices in the bowl, the image will be sent to the phone simultaneously which you can see the dice in advance, before opening the bowl. Moreover, you can have a remote control to adjust the focus, so as to see the images of dices most clearly. In our company, we can have dice bowl perspective camera in different types. You can always get one you like here. And of course, customized dice bowl perspective camera is available in our company as well. You can order the dice bowl scanner camera as well as unprocessed dice bowl that is so-called substitute. You send us your own bowl to customized with a perspective camera inside for you, which makes it much safer if you use this perspective camera bowl to win the game and the normal bowl to play dices sometimes when necessary. Before you use the dice bowl in the game, you can practice it in your free time because practice makes perfect. Only in this way, you can use dice bowl scanner camera to achieve the best effect. Also the same perspective dice camera can be installed the dices cups. 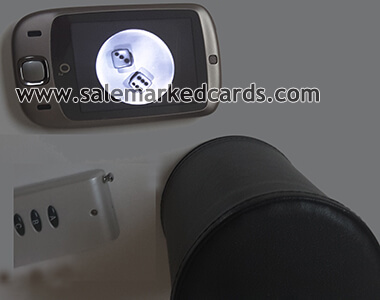 More information in detail about dice bowl scanner camera in our company will be offered in our website. Or you can contact us for details. We have very high technology in dices cheating devices. In addtion to the dices camera in cup or bowl, the wireless remote control dices, electronic induction dice, loaded dices, mercury dices and so on, also work well to help the users get the expecting points or to know the points in advanced. We have cheating dices in stock to sell. And also we can customize your own dices as long as you send us your dices. It's the remote control dices in below. Just feel free to let me know if you have interest in other deices cheating products. As long as you tell us your requirements, you can get one satisfied product to enjoy!